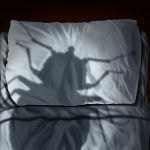 If you are about to buy a new home, the last thing you want is for it to be infested with pests; especially those dreaded termites. In this post we will point out a few things to be mindful of before making that big purchase. After all, you don’t want to spend your hard-earned cash on a lemon of a house, or one that is riddled with termites. 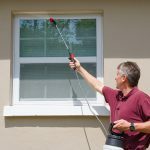 You really should do this no matter what, as regardless of infestations with pests, you want to know that the structure is sound and free of defects. A building and pest inspection should be booked in and carried out before you commit to the purchase of the home. With a building and pest inspection, the pest inspector or pest control expert will make a full examination of the home to ensure termites especially are not present. Aside from termites homes can also suffer structural problems due to the presence of wood borers. 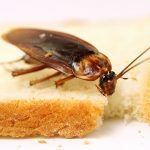 See if you can find out some history on the home, whether it’s had a problem with pests in the past; such as constant issues with rats and mice, cockroach invasions, termites in the area (even neighbours’ homes being affected). If there is a large water source nearby, such as a lake, are there many mosquitoes about, or midges? Also, has the home undergone any recent major repairs or renovations and what were the reasons for those repairs? Was it due to termite damage? Apart from your own research and due diligence, many of these questions can and will be answered when you receive your detailed building and pest inspection report. Sure you could save a few dollars by not booking a building and pest inspection, but it’s risky. Having your potential new home examined by a professional that knows what they are looking for could save you heaps of money in the long-term. SelectAPest on the Gold Coast perform professional building and pest inspections as well as offering pest control. Book one in today before committing to that new home purchase and have complete peace of mind, knowing that all is well the day you are handed the keys.